Home » Greenroom » I Survived! It is a fact that 80% of all cardia deaths happen at home, at work or in your spare time. In Australia, almost 30,000 people die of Sudden Cardiac Arrest in a year. And this person could be you. Id does not matter whether you are a smoker, non-smoker, overweight, underweight, anyone could have a cardiac arrest. Some people are more likely to than others but no one is safe. Survival rates are best inside the first ten minutes. It usually takes emergency services that much time to arrive. So having the right equipment at hand is absolutely critical. And it is actually quite simple. 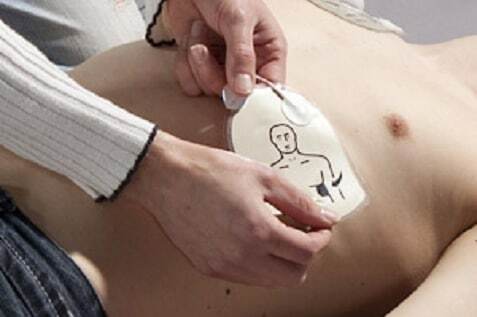 The only chance of survival is an immediate attempt at resuscitation and for an electrical shock to be delivered to the heart by a defibrillator. That is really the key to survive cardiac arrest! Survive Cardiac Arrest! Save Lives! 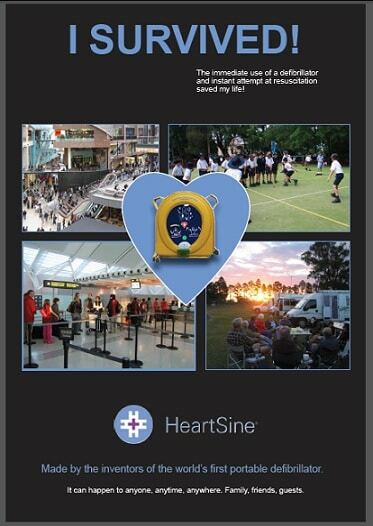 This booklet below tells you about AEDs and the incredible Heartsine Defibrillators that Alsco supplies. Click on the image to read more. Don’t forget to give a call to Alsco to get these HeartSine Defibrillators for your workplace. Remember Cardiac Arrests are a matter of life and death. By choosing Heartsine you could be choosing life!